Well done, Matt. 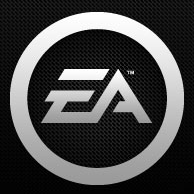 EA has been particularly heavy-handed with its freemium games lately, with big titles like Real Racing 3, Madden 25, and FIFA 14 laying it on thick. That's not to say that in-app purchases can't be done well - check out EA's own Plants vs Zombies 2 and pretty much all of Rovio's games for good examples of free-to-play titles done right. That being said, it's impossible not to feel a little cheated every time a game is unnecessarily difficult or restricted, and then offers you the "real" experience with a dollar sign on it. But the status quo isn't likely to change - FIFA 14 is still averaging an enviable 4.5-star rating across all users after more than five million downloads.